March 6, 2013 is the anniversary of the Dred Scott Decision. It is a court decision worth reading about and celebrating. Here’s a column from Jamala’s book on the decision written in January 4, 2004. I always find it interesting that a number of civil rights events are held at the Old Courthouse. Many local people, and sadly—far too many black folks, don’t know that this courthouse is where the infamous Dred Scott decision was made. The Old Courthouse is supposed to represent the history of days gone by. However, there are times when I hear the words of U.S. Supreme Court Justice Roger Taney coming out of modern day racists or bear witness to the unequal and unfair treatment of African-Americans in St. Louis as if we were in the era of pre-Emancipation. 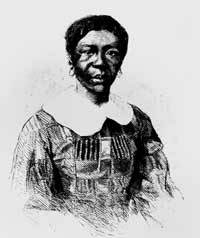 In 1846 Dred Scott had the audacity to sue for the freedom of he and his wife, Harriett. The litigation lasted over ten years and ultimately went to both the Missouri and U.S. Supreme Courts. Initially, a local jury ruled the Scotts free but that decision was overturned. Scott then appealed to the highest court in the land that rendered a stinging ruling. Led by Justice Taney, the high court stated that Scott was a black slave and therefore was not or could he ever be free. Further, he had no business bringing suit in federal court or engaging in any other acts as if he was a full-fledged citizen. Taney spoke for the court’s majority when he said that Dred Scott “had no rights which the white man was bound to respect.” The landmark decision made it quite clear that slaves existing for the “benefit” and “profit’ of white men. The Scott family was then purchased by the original family that owned them who eventually granted the Scotts their freedom. The irony is that Dred enjoyed being a free black man for only nine months before his death in 1858. Hundreds will gather at the Old Courthouse this month for the commemoration of Dr. Martin Luther King’s birthday. The traditional march begins there after a ceremony featuring song and the spoken word honoring the King. We need to look around at those hallowed halls and get some inspiration from an illiterate slave who dared to stand tall and challenge the status quo before not one court, but three. As descendants of Africans like Scott who dared to defy the very tenets of slavery, we need to exercise our still limited freedoms lest those few get outlawed. Dr. King would be troubled by the St. Louis of 2004. The high levels of economic injustices and low levels of political power would incite Dr. King to act. We insult his legacy by just singing about a dream or marching. Dr. King fought real struggles for real people–those who were most oppressed and disenfranchised. Dr. King honored the legacies of Dred Scott and many others who fought the good fight by continuing the movement for a peaceful and just world. In 2004, celebrations of St. Louis’ past are being planned. If Dr. King were here, he would definitely target those celebrations to raise the obvious hypocrisies. He would express his outrage to the school board for their annihilation a school district. He’d take issue with the decisions (or lack thereof) by the Board of Alderpersons and he would definitely be calling the Mayor out. He would be sickened by the warmongers. But mainly, I think he would be disappointed at the freedom lovers and justice seekers who find excuses for standing idly on the sidelines as injustices swirl around them. These folks act like 3/5 of a person instead of a whole one. On this King Holiday, let us vow to keep the likes of Justice Taney from turning back the clock of progress by acting like empowered and caring people.